Mike Search pulled double duty for his Deerfield Beach area baseball team in 1986. He pitched and he hit. He also did both well, according to The South Florida Sun Sentinel. Search was 6-1 by the end of June, with a 2.05 ERA. At the plate, he was hitting .429, had three home runs and 12 RBI, The Sun Sentinel wrote. "He's our spark," Deerfield Beach coach Lou Fisher told The Sun Sentinel. "Whether he realizes it or not, he's the guy who sparks us. He's full of positive energy." Search went on from Deerfield Beach to turn pro three years later. His pro career, though, was brief. He played just two seasons. 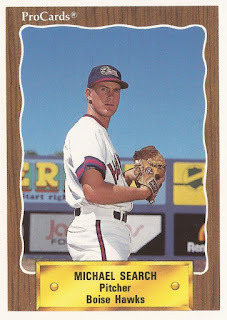 Search's pro career began in 1989, signed by the Angels as an undrafted free agent. He's also credited by his formal name, Michael Search. At Deerfield Beach in 1987, Search continued to pitch well. He took a loss in an April game, but he still struck out 12. With the Angels in 1989, Search played at three different levels. He saw time in the rookie Arizona League, at single-A Quad City and at single-A Palm Springs. He got 15 relief outings between them, with a 2.25 ERA. 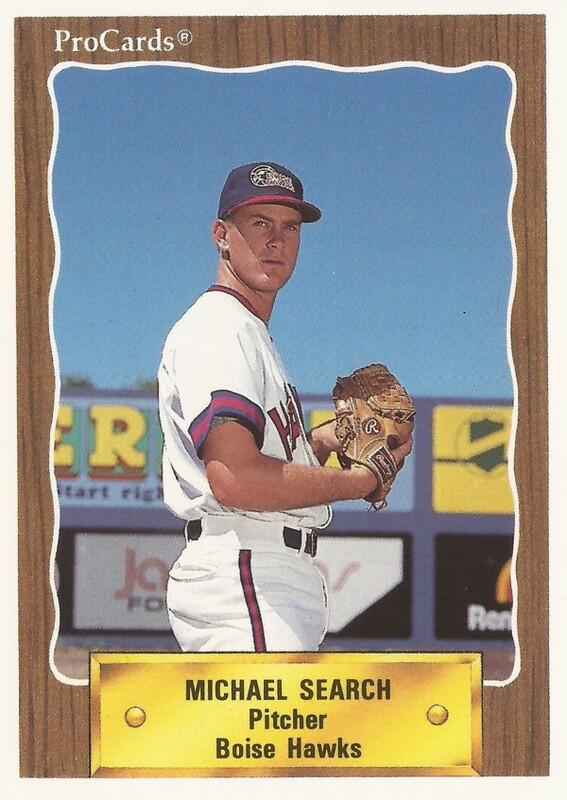 He started 1990 at high-A Palm Springs, moving later to short-season Boise. He got into 40 games overall that year and had a 3.33 ERA. It was his final season as a pro.